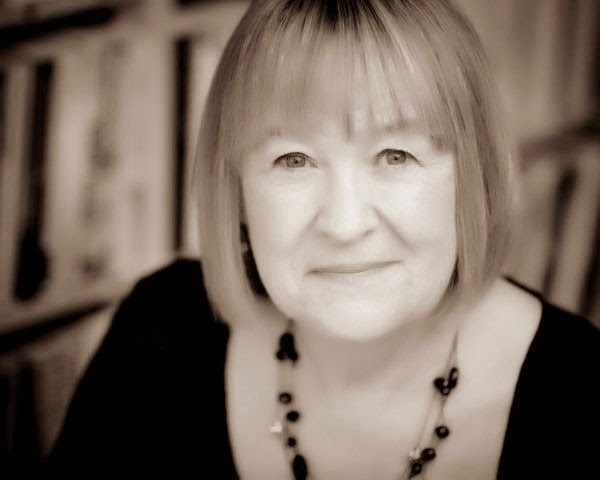 Please welcome author Liz Trenow to the blog today! Liz's latest release with Sourcebooks Landmark, The Forgotten Seamstress, is a remarkable novel (READ MY REVIEW) and I am super excited to be hosting a guest post from the author and a giveaway! I love novels with a great sense of place and, having set my first book in the house where I grew up, I was determined to find somewhere just as evocative and atmospheric for this one. When Severalls Mental Asylum, on the edge of my home town of Colchester, first opened its doors to patients in 1913, it was considered to be a state of the art institution intended to become a centre of expertise in the very latest treatments for mental illness. 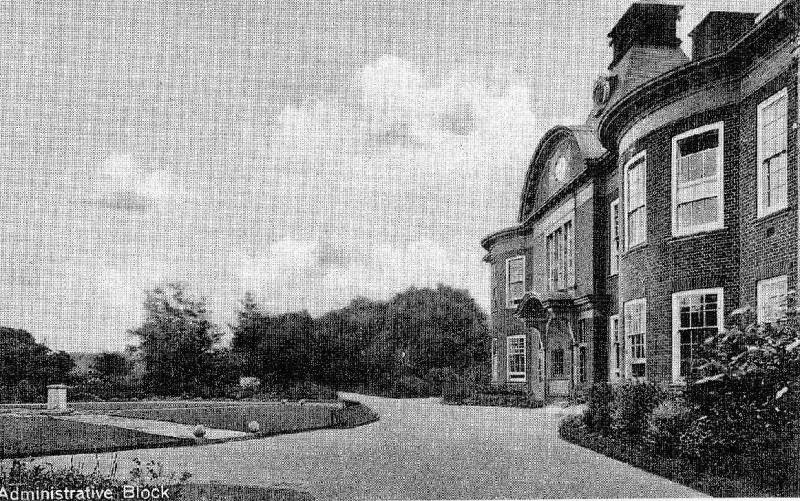 It was built on a vast scale like the estate of a country mansion, with gardens and sports facilities and a range of other houses for staff, with the ideal that patients could be safely contained and soothed in these beautiful surroundings. Of course, with hindsight, we now understand that the treatments used were sometimes inhumane, even brutal, and patients often became institutionalised by the strict routines. Occasionally its use was also sometimes abused, and tales of people being locked up for little more than social breaches (such as unmarried pregnancy) once used to abound. 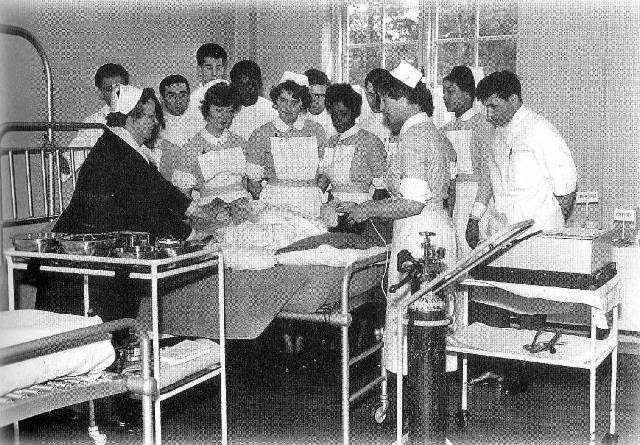 In the 1970s, when patients began to be discharged into ‘care in the community’ (now itself discredited) some of the buildings and wards were used by other hospital departments, for example clinical treatments and minor surgery. This is how, as a teenager, I became an in-patient at the hospital, having a benign cyst removed from my arm. It was only two days, but that experience of the place has never left me: the scale of it, both impressive and oppressive, the locked doors and bars, doctors riding bicycles down the miles long corridors and the people – mental patients –sometimes behaving or reacting quite oddly, as they walked or worked in the gardens. Choosing this setting influenced the novel from the very beginning: I knew that Maria had a dark secret that would have to be hidden away. What better place than a mental institution? Writing about the place came easily, particularly with the help of a wonderful book about it by the sociologist and author Diana Gittins called Madness in its Place (Routledge 1998), in which she quoted from her recordings with staff and patients. These first-hand accounts really brought the place and the people to life, and in one of those light-bulb moments, I realised that this was exactly what I needed to do with Maria. Also very helpful was an archive website at www.severallshospital.co.uk which includes some remarkable old photographs – a couple are shown below. Although most of the buildings are now closed (pending redevelopment), it is still possible to walk in the grounds among the pine trees. The atmosphere of the place remains as strong as ever. You can find out more on my website at www.liztrenow.com. It is 1910 and Maria, a talented young girl from the East end of London, is employed to work as a seamstress for the royal family. As an attractive girl, she soon catches the eye of the Prince of Wales and she in turn is captivated by his glamour and intensity. But careless talk causes trouble and soon Maria’s life takes a far darker turn. Disbelieved and dismissed she is thrown into a mental asylum, shut away from the real world with only her needlework for company. Can a beautiful quilt, discovered many years later, reveal the truth behind what happened to Maria? To win a copy of The Forgotten Seamstress please complete the form below. Giveaway is open to US residents only and ends on June 15th. Good luck! I would like to read this Historical Fiction book. I've been enchanted by the title, "The Forgotten Seamstress." Had no idea the main character would lead such a painful life. I think too often the mentally ill are thrown away and forgotten in these institutions. I look at the photo above. It looks quiet and like a nice, big home. I can only imagine what might have gone on inside and outside the building. Enjoyed learning about you, the author, and the book. Thanks for giving me the chance to win it and read it. Of course, I would gladly review it. Thank you again for entering me in the giveaway. I found The Last telegram fascinating so thank you for the opportunity! The book sounds fascinating, and I love mysteries. I'd like to win a copy. Thanks for the giveaway! thank you for the giveaway!! Sounds like an interesting book - thanks for the opportunity! This sounds great and it is a new author for me to try. I would love to win this book !! I loved this book and want a copy for myself. It's a keeper! Sad but true that so many institutions were terrible places. Improvements were made in treatment regimes in the 20th century, but not all worked well. Sadly, the decision to put patients back on the street turned out to be a bad decision for both the patient and the community. Those who need help aren't getting it. Those who were secure in a protected environment have been left to flounder in communities that don't want them. The early part of the 1900's must have been a frightening time for those thrown into the "care" of the system. THE FORGOTTEN SEAMSTRESS sounds like an intriguing look into society and the way the mental health system was used against the innocent. I look forward to reading it. Book sounds perfect for me. It sounds like an amazing and interesting story. I love the pretty book cover. Thanks for having the giveaway. I read and enjoyed the author's Last Telegram. This novel sounds wonderful and I know I'd love it. Thanks for the giveaway. I've been reading sic-fi, paranormal, and mysteries for the last few books. Now I need this to calm my soul. I would love a copy of it. This sounds like such an intreging story, would love to read. It sounds like a very interesting novel! 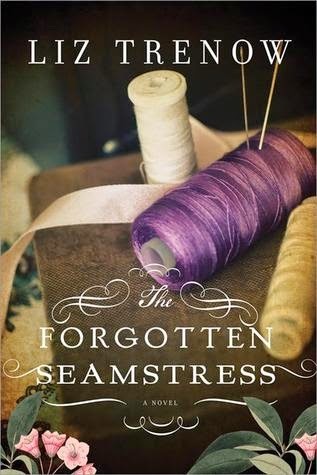 The Forgotten Seamstress sounds like the perfect book for me. I have added it to my TBR list and can't wait to read it. What an interesting setting for a story. I'm bi-polar am always drawn to stories telling how the mentally ill were treated in the past. This sounds like an excellent read. While improvements certainly have been made in the treatment of mental illness, to this day gaps in our knowledge and understanding persist. I cannot begin to imagine how harrowing institutionalization must be for a patient, whether legitimately ill or being committed for sinister reasons as is the case for Maria. As an aside, I understand the atmosphere of which you speak. I will never forget visiting the prison on Alcatraz Island and feeling an almost palpable presence of those once incarcerated there. Get Passages to the Past in your Inbox! 2019 Historical Fiction Reading Challenge - Sign Ups Open! Alison Morton's Successio Book Blast + Giveaway! 2014 Releases...Break out the Wishlists!